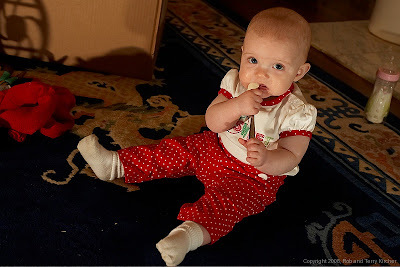 Haven't had any time to post lately but I managed to get this shot of little Kate Christmas Eve. I liked it so much I thought I'd post it here. "Ok uncle Rob, cut it out with the damn flash already would ya!!!" Of course I think she's a cutie. That's a great shot.